Prices on this website don’t include shipping costs. Delivery prices depend on shipping address and total weight of your purchase. Final shipping costs will be calculated and added to product prices on checkout. Shipping fees include handling and packing fees, as well as shipping costs. We ship all our produts via CTT, using standard delivery. If you require express delivery, please get in touch with us for updated shipping costs. CTT is the leading mail carrier operator in Portugal and has been declared the worldwide postal operator with the largest carbon footprint reduction in the last five years (-51%). As a pioneer company in the inclusion of electric vehicles in its fleet and in the continuous innovation of its products, CTT is more and more focused on environment preservation. In addition to this, CTT also recognizes social and economic sustainability as part of their DNA. CTT supports social and environmental intervention initiatives, organising programmes to collect articles and distributed thousand of solidarity parcels. Your items will only be prepared for shipping after confirmation of payment. Items are generally dispatched up to 3 business days after receipt of payment. Please provide accurate address details when placing an order. Please note that these standard patterns are just a reference. 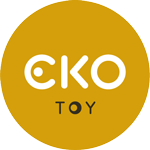 Ekotoys is not responsible for any delays resulting from given wrongful address, or postal delays. Depending on final destination, other national carries may be involved. Any delays either caused by customs or in its’ normal journey is out of our hands. We are not liable and will not issue any refund if standard delivery times are not met by any of the the mail carriers involved. Your package will be dispatched at your own risk, but special care is taken to protect fragile objects and all shipped packages are insured. If the package and/or the content are damaged upon arrival, please report it to the courier upon delivery and keep your receipt. If you notice any damages when you unpack your items, please contact us as soon as possible including images of the damage. When you purchase more than one product, we assume that all the items in your order are to be sent together, and your order will be dispatched as a whole. If you wish to send items to different shipping addresses, you can either make separate purchases (one per each address) or send us an email before completing your purchase, so we can adjust shipping costs. In case no one answers at the shipping address on delivery, a notice will be left for you to pick up the parcel at the local post office. If the package is left unclaimed at the post office beyond maximum storage time (defined case by case and included in the pick up notice), the parcel will be shipped back to us and there will be no refund. b) In case item prices have increased, price difference will be charged. c) No additional coupons or offers other than the original order’s apply.